This ca. 1923 form letter from the general secretary of the T.R.I. Highway Association to James P. Taylor spells out plans to publish a monthly magazine about sites along the highway. There is no evidence that the magazine was ever published. 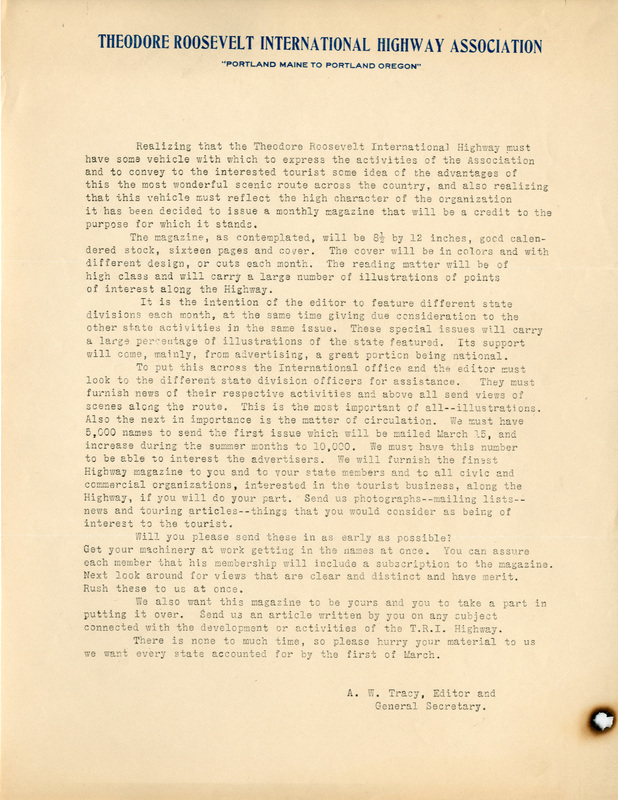 Theodore Roosevelt International Highway Association, “Letter Announcing Magazine for Highway,” Digital Vermont: A Project of the Vermont Historical Society, accessed April 18, 2019, http://digitalvermont.org/items/show/1273.